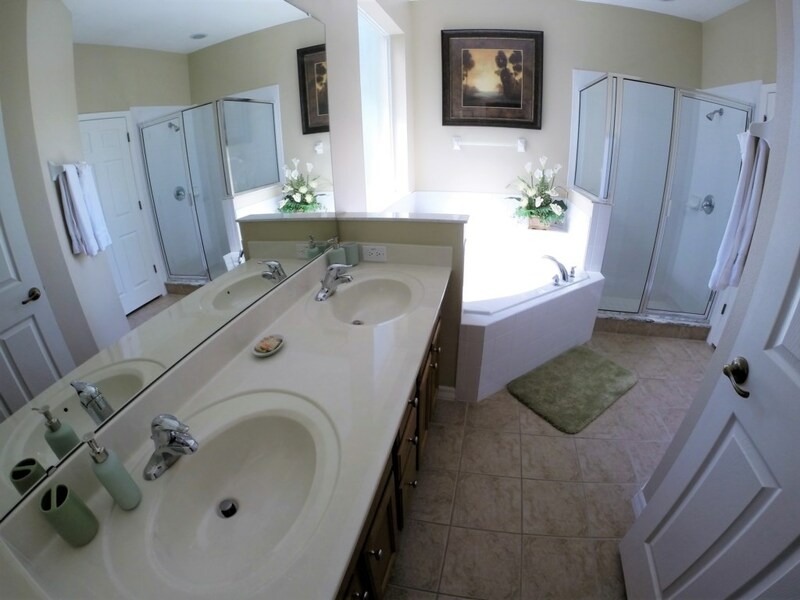 5 bedroom, 4.5 bathroom villa in the Watersong Resort community. Owned by Anne and Alex Campbell. Ref: 3608. We are Anne and Alex Campbell and together with our teenage son Nathan we are the proud new owners of this beautiful home in the gated resort of Watersong, near Davenport. We recently purchased the house and are only the second family to own it. We fell in love with the house as soon as we saw it, mainly because of the view, privacy and seclusion at the rear. Since purchasing the property we have upgraded the interior and Nathan has helped with the new games room. Having visited Florida many times over the years we know the great benefits of warmth and sunshine which Florida has in abundance. Our main home is in the southside of Glasgow and Alex is currently working in Saudi Arabia. Anne has enjoyed an extensive career in the customer service industry and is ensuring our home will be maintained to the highest quality and standards. 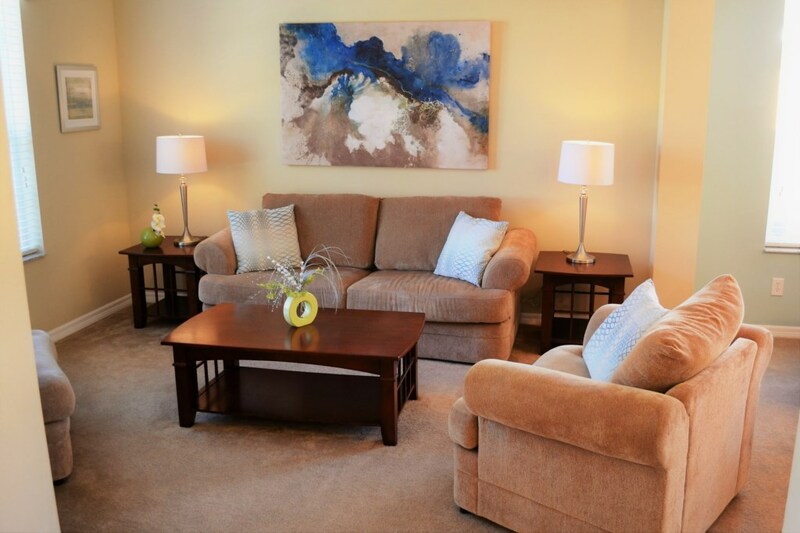 We hope you can have the opportunity to enjoy our home as much as we do. Please don't hesitate to get in touch with any queries you may have, we will be delighted to answer any questions. Best Regards Anne, Alex and Nathan. 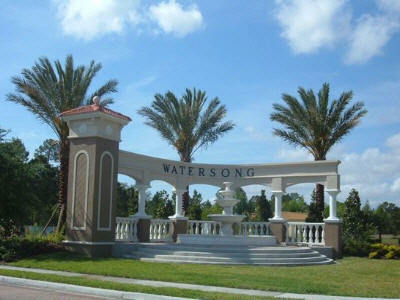 Daisy Villa is Situated in the beautiful and quiet gated community of Watersong. 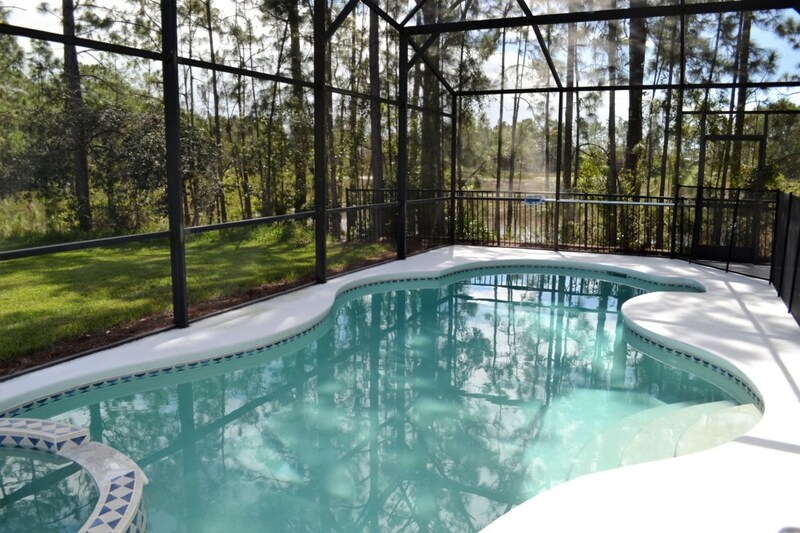 Enjoy your very own private and tranquil home, with one of the best views from the pool deck in the Disney area. 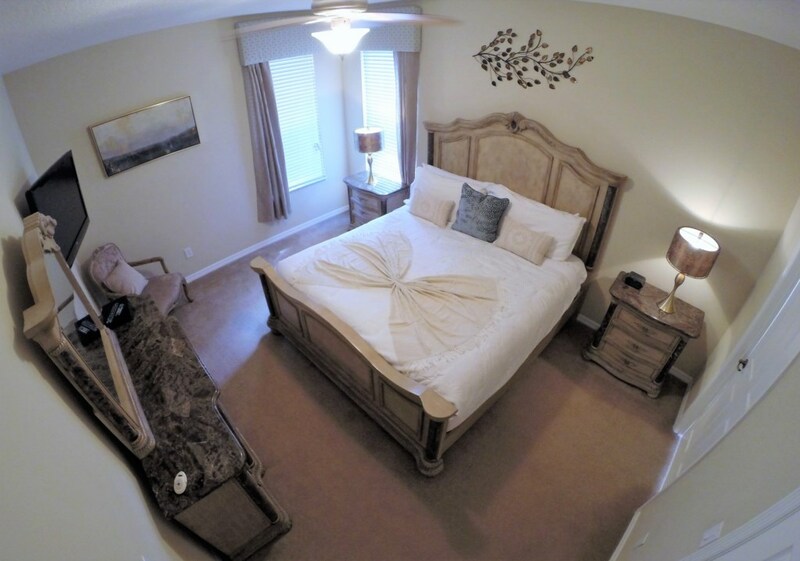 Daisy Villa is located in a quiet cul de sac, within the resort which is just 15 mins from Disney, 30 mins from Orlando International Airport and 50 mins from Orlando Sanford Airport.Our newly upgraded luxurious 5 bedroom, 4.5 bathroom home is available for your dream holiday. Daisy Villa is secluded and private with no rear neighbours, only trees and woodland to the rear and side. 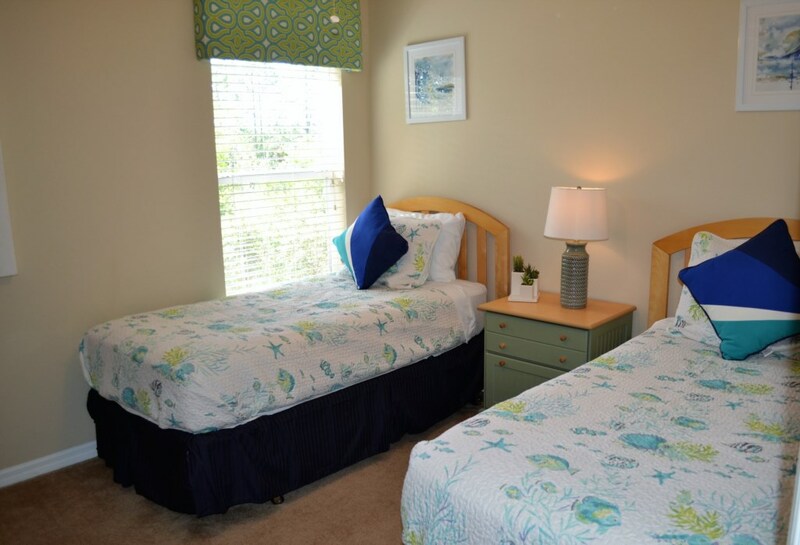 It is the perfect place to relax, yet close enough to all the hustle and bustle that everyone visits Florida to enjoy. The best location for a vacation. Luxurious 5 Bedroom, 4.5 Bathroom villa at the fabulous Watersong Resort. •	5 bedrooms (2 Kings and a Queen with en-suite bathrooms and 2 twins with shared bathroom). •	TV’s in all bedrooms. •	Family lounge with 50 inch LCD TV & DVD. 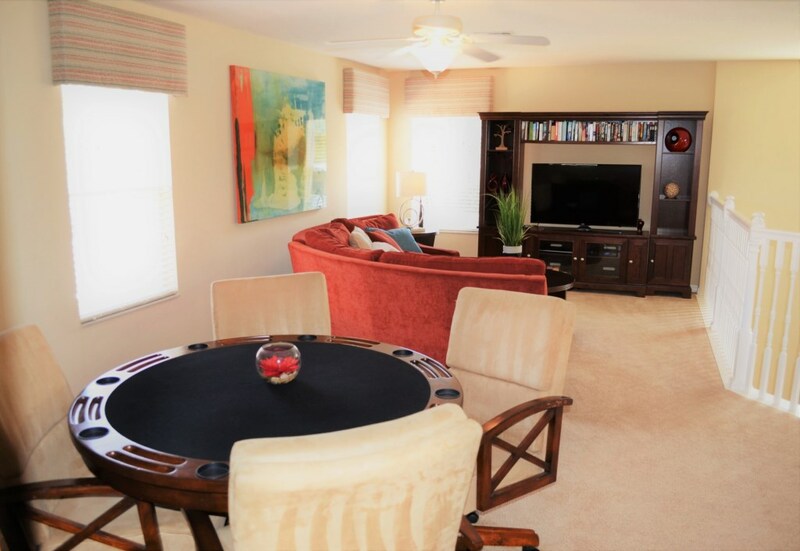 •	Spacious loft area with games table, PS3, 50 inch LCD TV and DVD player. large selection of DVD's, board games, PS3 games, controllers and books; everything to keep the whole family entertained. •	Free wireless broadband internet access, cable TV throughout and free local and long distance calls within the USA. •	Fully fitted kitchen, large fridge/freezer with ice and drinks dispensers, microwave, cooker and dishwasher. •	Maple wood kitchen cabinets with granite tops throughout. •	Luxurious open plan formal lounge and dining area. •	Utility room with washer and dryer. 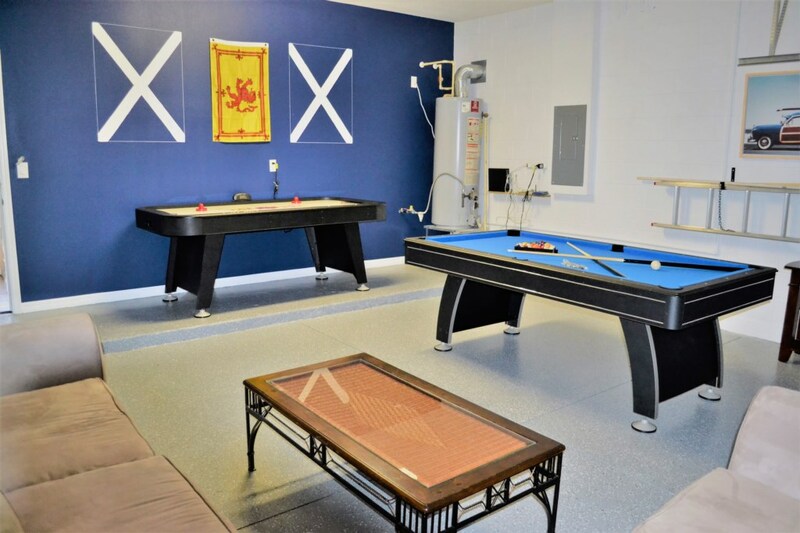 •	Newly furbished games room with pool and air hockey tables. •	Fully screened pool deck with plenty of comfortable furniture. •	Security pool fence for your children’s safety. •	Stunning view from the pool deck. •	Secluded and private area at the rear of the villa overlooking the natural habitat of Florida. •	BBQ available for an additional charge. •	Landscaped front garden and rear lawn area. •	Close to Watersong clubhouse and resort amenities. Watersong Resort is a charming gated community set in a peaceful location surrounded by woodland, luscious greenery, clear lakes and water conservation areas. Home to storks and herons and abundant with Florida’s natural flora and fauna, Watersong offers a therapeutic escape from a busy lifestyle. As you enter the resort, you will begin to feel the harmony and benefits that living close to nature brings. 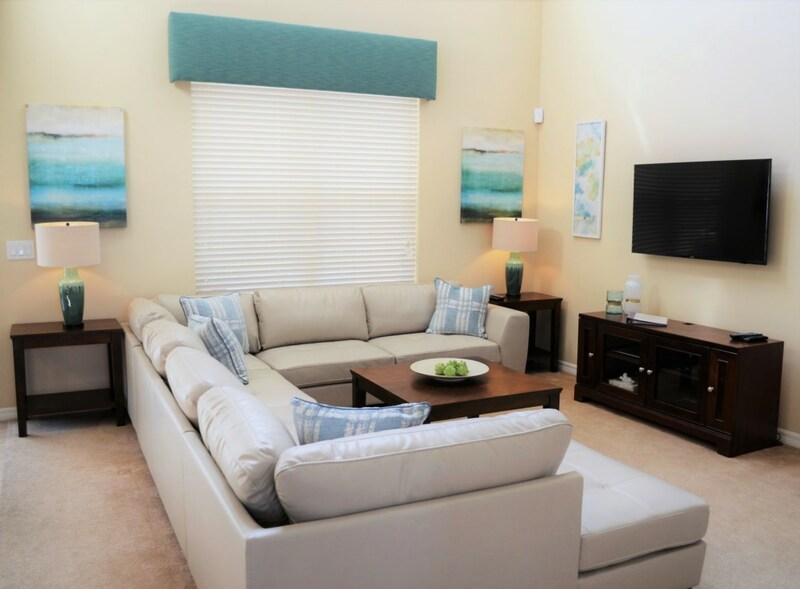 Watersong offers a tranquil retreat from the theme parks. Watersong offers an elegant, spacious clubhouse encompassing a cyber café, table tennis, a fully equipped fitness centre and large lounge. For your enjoyment there is also a large swimming pool and jacuzzi/spa, picnic area, children’s playground, putting green and volleyball courts. All facilities are free of charge during your stay. 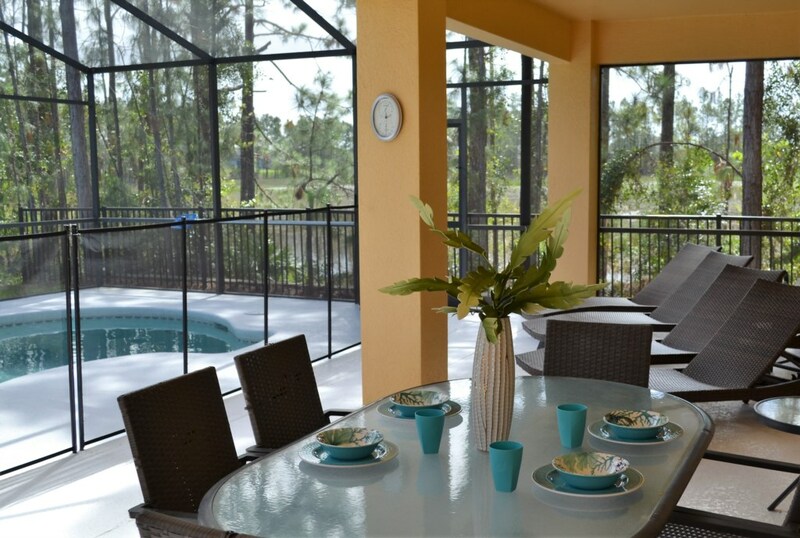 Whilst tranquil, Watersong offers close proximity to all of Orlando’s world-famous attractions, exceptional shopping, numerous world class golf courses and easy access to Interstate 4. Local amenities are conveniently close too. 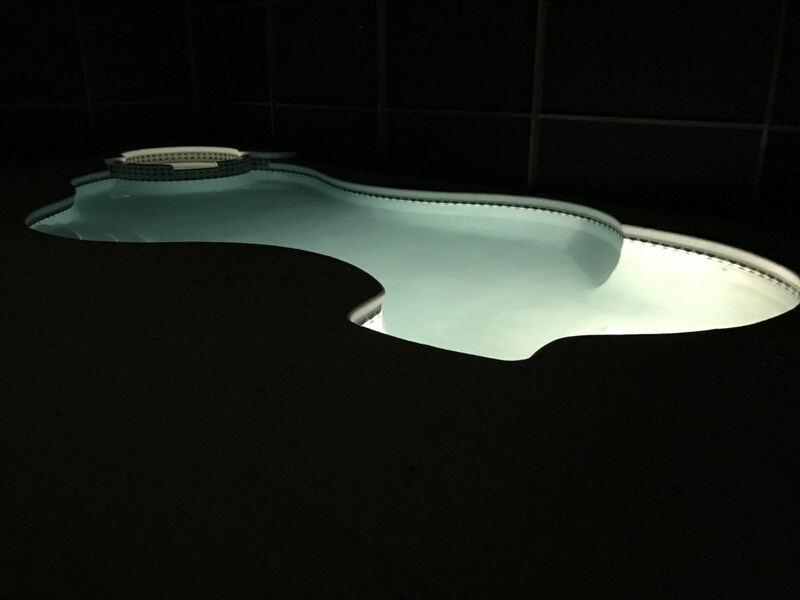 Whilst staying at your villa, you will be able to relax in and around your very own secluded private pool with jacuzzi/spa and enjoy stunning views of Florida nature as your backdrop. 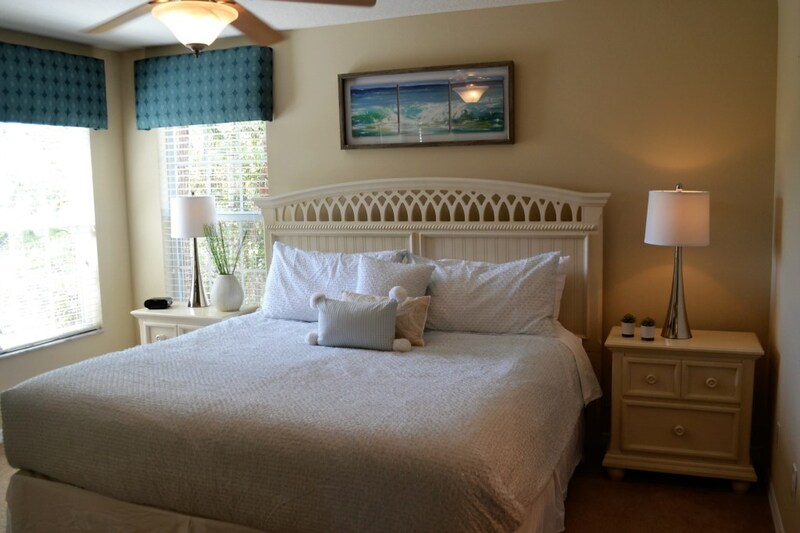 Watersong offers the best of all worlds being located less than 10 mins drive from Interstate 4, making the gorgeous white sandy beaches of the Gulf and Atlantic coasts just 60 mins drive and the magic of Disney only 15 mins away. 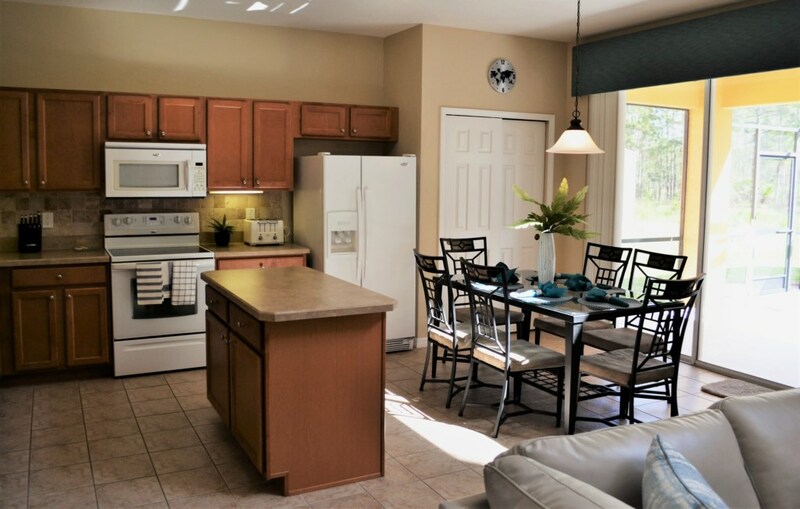 Watersong offers a great location for a great vacation. Enjoy our fabulous family home for a fantastic family holiday and a chance to make magical memories which will last a lifetime. Central Florida, and in particular the Orlando area, has an excellent choice of golf courses open to the public. 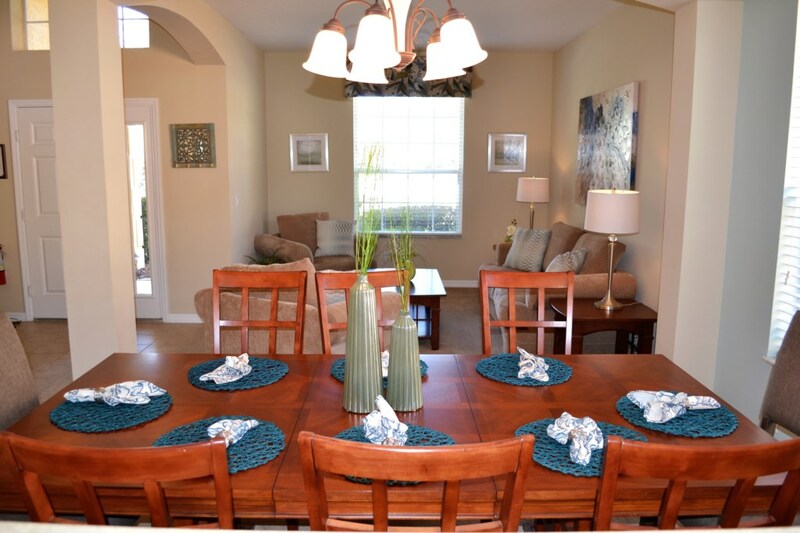 Renting our vacation villa at Watersong will give you access to many golf courses all within a short drive. The choice of golf courses in the area is probably only beaten by the amazing variety of family entertainment that Orlando has to offer. In fact, the best golf courses within ten mins drive from Watersong are those at the world famous Reunion Golf Resort, home to the Nicklaus, Palmer and Watson courses and where the Ladies PGA tournament is held every March/ April. 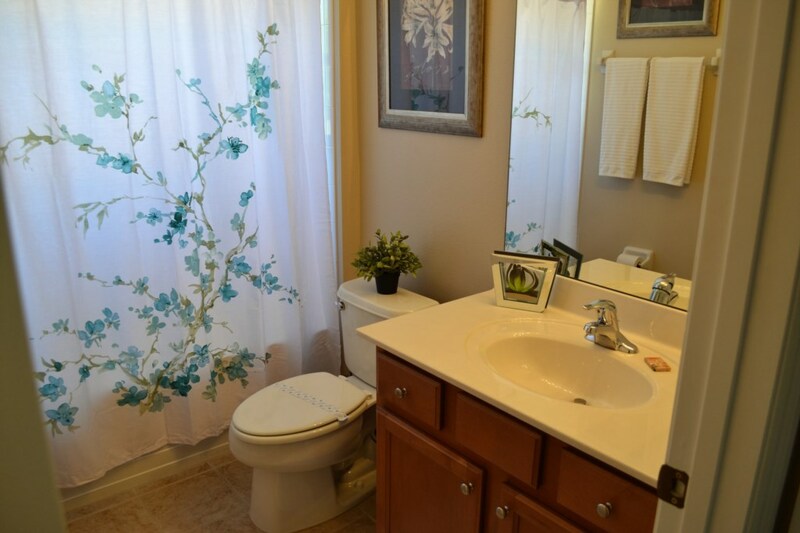 The latest addition is the Providence Golf course, situated right next to Watersong. Central Florida is home to a wonderful array of sports events, all easily reachable from Daisy Villa. Here is a just a selection for you to enjoy. •	Orlando Magic in the NBA. •	Orlando City in MLS. •	Tampa Bay Buccaneers in the NFL. Orlando is also currently home to the Pro Bowl, which takes place towards the end of the NFL season. •	Tampa Bay Rays in MLB. •	Tampa Bay Lightning in the NHL. •	NASCAR at Daytona Beach, including the iconic Daytona 500. •	The PGA and LPGA tours live in the Orlando area. Central Florida is also home to many wonderful state parks where you can really enjoy the great outdoors. 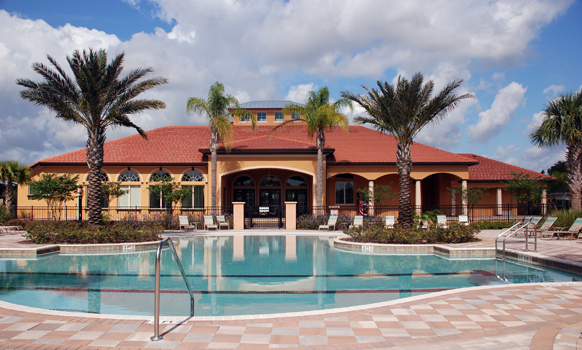 Easily reachable within 60 mins drive from Orlando and a great alternative to the theme parks. Blue Springs and Wekiwa Springs state parks are two of the many worth visiting. Orlando International Airport and Orlando Sanford are both about 30 - 50 minutes easy drive away. 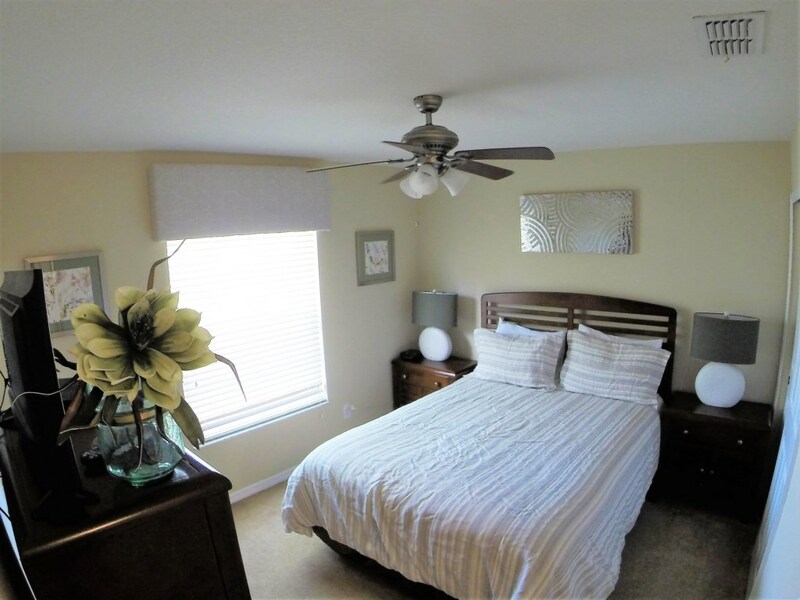 Disney World is just a couple of junctions away from the villa on Interstate 4, with SeaWorld and Universal Studios a couple of junctions beyond Disney. Driving directions to Watersong: Assuming you are traveling westwards on Interstate-4, take exit 58 (CR532) eastwards and go 3.5 miles to Hwy 17-92. You will pass a railroad crossing and immediately you will come to a T- junction. Turn right on Hwy 17-92 (south) and proceed 2.5 miles to the entrance on the left. Contact Anne and Alex Campbell using the form below to enquire about this property, availability and rates. We look forward to hearing from you and will be happy to answer any questions you may have. Pool heat is optional and is charged at $245/£182 per week, please request this when making your booking. A BBQ is available for an additional charge of $50/£40 per week, this includes cleaning, please enquire when booking. For bookings of 5 days or less there is a cleaning surcharge of £90/$110. For bookings of more than 20 days we will be happy to offer a discount. We accept a variety of payment methods, including credit card and bank transfer. A deposit of 25% is required on booking to secure the dates requested. A security deposit of £250/$300 is due along with the final balance 6 weeks prior to arrival. The security deposit is fully refundable pending an inspection from our management company after departure. Please be advised that all prices are based on the exchange rates at the time of publication. Should there be a significant change in the exchange rate, non-US dollar prices may be adjusted at the time of booking. Your enquiry will be sent to villa ref 3608 only. This page has been viewed 4278 times since 22 Sep 2017.